Denver recently hosted a rip-roaring cannabis celebration in honor of Tommy Chong and his Chong’s Choice cannabis brand launch in Colorado. One recent Thursday evening, Cultivated Synergy, a popular co-working space for ganjapreneurs in downtown Denver was transformed into a rip-roaring cannabis celebration in honor of Tommy Chong and his Chong’s Choice cannabis brand launch in Colorado. It was a 420-party fit for a pot legend. On the menu: Drinks, food, and Chong’s Choice cannabis pre-rolls. 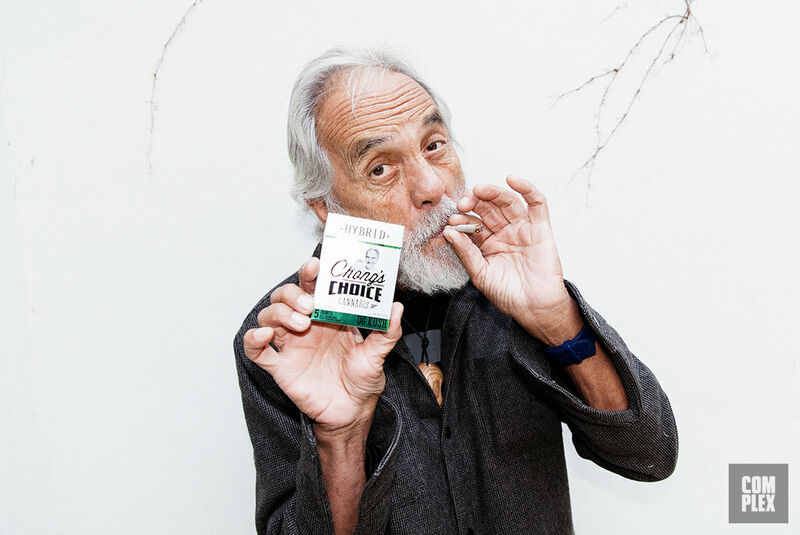 The support for cannabis is great news for cannabis pioneers like Tommy Chong. Just days after the election, he explained how the overwhelming support for marijuana is a win-win situation for everyone. If we go legal we pay taxes, if we don’t go legal we don’t pay taxes – either way, it’s not going to stop the demand. That goes for recreational in California as well. A lifelong pothead who’s battled Hollywood, law enforcement, and cancer, Chong said the plant is a source of strength as it keeps his body healthy and his mind sharp. Tommy explained that he was a weightlifter and bodybuilder, as well as a stoner. I proved the pothead stigma wrong back then when I was writing and acting in Cheech and Chong: Up in Smoke. Cheech and I were in incredible shape. I found that girls are attracted to men with a good body, so I spent most of my early life trying to get in shape – and my heroes like Schwarzenegger and Steve Reeves smoked… They wouldn’t touch sugar, cigarettes, but they would all smoke pot. It also helped him battle cancer later in life. I was in the cancer ward and I felt so out of place. They were in pain, looking grey, with the same thing I had. The difference was, they never took care of their body early on, and I did. His commitment to health has given him plenty of stamina. After addressing the crowd of cannabis enthusiasts and ganjapreneurs, he took photos with fans, signed a vintage t-shirt with his likeness, and kindly obliged to sign a woman’s chest with the tip of his pen. Chong’s Choice joints come with an image of his face on the paper. It’s a fun detail most smokers catch onto as they lift the joint to their face. “It’s like you’re smoking with the legend himself,” said one attendee. Proud of his new line of products, the cannabis connoisseur is also honored to be able to make people laugh. I’ve been asked if I would want my kids to see the Chong character, and as I see it, Cheech and Chong are happy, and not hurting a soul. Girls would always say, ‘Well he made me laugh’, I think that’s the greatest compliment a person could have.